What is Jiaogulan, aka Gynostemma Pentaphyllum? The health benefits of drinking tea have been big news during the last few years. As more of us choose to sip a cup or two of tea each day, the specific healing properties of the different leaves we brew are becoming more apparent. Jiaogulan tea is emerging as a superstar in the fields of natural health maintenance, and disease prevention and treatment. What can jiaogulan tea do for you? Let's look at health maintenance first. Studies show that jiaogulan improves your heart's ability to pump blood, which means you experience increased energy and better endurance while exercising. Jiaogulan also helps maintain healthy blood pressure levels. How it does this is still being researched, but so far studies have show jiaogulan helps to relax the coronary blood vessels. 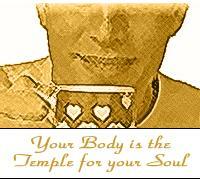 ...meaning that it works to correct imbalances in the body, whether they are excesses or deficiencies. Jiaogulan has balancing effects on the digestive system, blood pressure, the reproductive system, the immune system, mental functions, and more. For the digestive system, jiaogulan helps by increasing the nutrients your body absorbs from the food you eat. At the same time, jiaogulan helps to regulate high cholesterol, making it a helpful aid if you are working on losing weight. Jiaogulan works as an adaptogen on your hormones by either stimulating or calming your system, depending upon your need at any given time. By regulating hormonal functions in both men and women, jiaogulan actively supports your body's ability to cope with the many stresses that are part of our day-to-day lives. Though this may all sound too good to be true, these claims are based on research. In brief, the science behind jiaogulan shows that it contains a large quantity of gypenosides, which are very similar in structure to the panaxosides (also known as ginsenosides) found in ginseng. 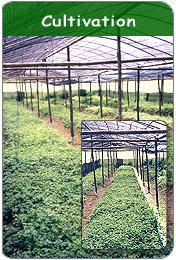 There are three to four times as many gypenosides in jiaogulan as there are in ginseng. Research suggests that the fact that jiaogulan has many more gypenosides may be why it is such a powerful adaptogen. ...meaning it mops up potentially dangerous free radicals, reducing your risk of cancer. Finally, jiaogulan has an important role in the treatment of disease. If you are undergoing treatment for cancer, jiaogulan's ability to boost the immune system makes it very effective in reducing the side-effects of radiation and chemotherapy. Unlike many drugs used for cancer, which can bring distressing side-effects, the natural herb jiaogulan is enjoyable and safe for long-term use. Perhaps the easiest way is to make a tea using organic jiaogulan leaves steeped in boiling water. Jiaogulan tea is naturally sweet and good either hot or cold. You can also apply jiaogulan topically, to remedy dry skin. Or, try mixing it with a high-quality organic oil as a massage oil. Would you like to try 30 cups on Organic, Herbal Jiaogulan? We'll pickup the shipping cost and you'll be drinking 4 to 8 cups of healthy, delicious tea for less the price of your daily cup of gourmet coffee. Pick out one of our Sample Taste packages. Order a couple extras to pass on to friends. Our Jiaogulan was awarded the 1st Prize for the Best Tasting Tea in Thailand for 2002. Order some now to find out why the judges from the entire tea industry were so impressed. You can be drinking one of the world's most healthy beverages to come around in decades. Order direct from the source in Thailand and save 200%. You'll be enjoy a great tasting beverage for Less than $.12 per cup. "I absolutely love your tea. I drink it hot and also as iced tea. I find myself looking forward to my cup of tea. I drink it because it taste good and satisfies me unlike any other beverage. Knowing all its good benefits to my health just makes it that much better. Thank you for making it available."